The benefit of protective packaging is right in the name: it protects your products from being damaged during shipping. But the benefits extend far beyond the obvious. Protective packaging can help save you time and money. With the help of our packaging and shipping experts, you can select cost-effective packaging that will secure your unique product -- and even delight your customers upon opening. 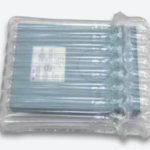 Air cushion packaging uses an inflatable cushioning system within a box to protect a package's contents from damage during shipment. Solutions such as the ChamberPak Inflatable Cushioning System consist of inflatable, adjoining tubes that hold a fragile item. Molded pulp packaging is a newer type of packaging typically made from recycled materials. 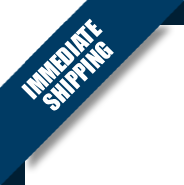 It is also a great option to package delicate items of any kind that need extra considerations throughout the shipping process. 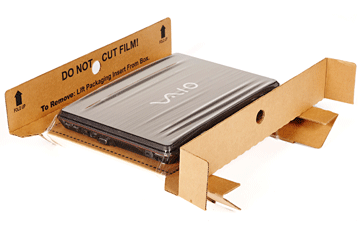 What Type of Protective Packaging Does Your Product Need? Fortunately there are a number of protective packaging products that can keep your fragile merchandise safe -- saving you from having to send the product again, wasting countless dollars (and hours) in the meantime. Retention inserts and suspension packaging eliminate risk and worry. Yes, product packaging isn’t too much of an issue for soft goods that are purchased online, but for expensive, fragile things like computers, it’s a different story. Retention and suspension packaging uses special corrugated inserts and plastic flexible film. The inserts fit into the shipping box and work to suspend the product so that it’s more centrally located within the open airspace of the box and away from the major points of impact. The flexible film used to hold products can be easily reused, as it maintains its effectiveness. Noting this, it’s a more eco-friendly option. While the ChamberPak system involves tubes, other types of cushion packaging involve pillow-shaped cushions. Since air cushion packaging helps protect the item from the four walls of a corrugated box and then both from the top and bottom of the box, it's a highly effective solution. It's quick and easy to assemble. It doesn't just protect products from impact, but from shifting around within the box as well. The alternative to this type of protective packaging is what's known as "peanut packaging." This protective solution basically consists of hundreds - perhaps even thousands, depending on the size of the box - of peanut-sized foam or paper inserts that are designed to pack a product. However, peanut packaging is a loose fill type of solution that's not able to as tightly secure boxed contents as air cushion packaging. What is Air Cushion Packaging Best Suited For? Air cushion packaging, or air pillow packaging as it's also often called, is versatile and flexible. It can be made to fit any sized box, so it can effectively be administered to protect any sort of product. As we noted in the opening, however, there are some applications that it's better intended for than others. These products mainly consist of smaller fragile electronics, such as laptops, Blu-ray players, cellular phones, video game consoles and more. Molded pulp packaging is a newer type of packaging typically made from recycled materials. It is used for protective packaging mostly for food and beverages. However, it is also a great option to package delicate items of any kind that need extra considerations throughout the shipping process. What Is Custom Molded Pulp Packaging? This type of packaging is eco-friendly and can be recycled again after its life-cycle. In three words, molded pulp packaging basically saves money, time, and space. Molded pulp packaging is made from recycled materials, making it an affordable option. We also form them into the shape our customers need. This eliminates the assembly process and in turn, saves you money. We are also constantly up to date on new developments and ways to reduce extra steps and costs. In every business, time is money. Investing in molded pulp packaging will save time from the first to the last step. Consequently, costs will be lower for both the business and customers. Due to the way that molded pulp packaging is designed, shipments are also less frequent. This saves you time in transportation and the packaging process. 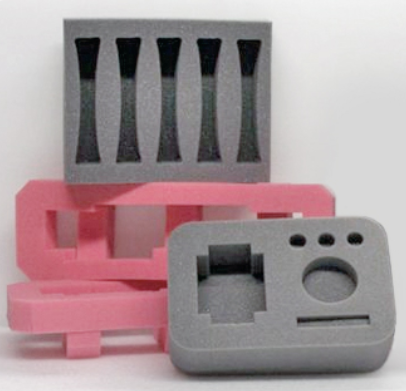 The way that we design our molded pulp packaging allows us to nest and stack the pieces together. Performance wise, they provide excellent bracing, blocking, and cushioning protection. Both employees and customers can handle it with ease. Every model is designed for instant use. The best part is that because it’s made from recycled materials, customers can recycle their packaging after use. At CS Packaging, we pride ourselves in providing our customers with 100 percent recycled materials. Our packaging meets global standards and most importantly, it meets the expectations of customers that are environmentally sensitive. If you are looking for the perfect way to package your products take a look at molded pulp packaging. Let's say your product has a unique shape or a number of delicate parts that need to be separated and held securely. This shipping challenge calls for custom foam cushioning, where an exact mold is made of your products and then transformed into a gentle foam cushion that safely envelops and displays each individual part. How Do Corrugated Flutes Work?